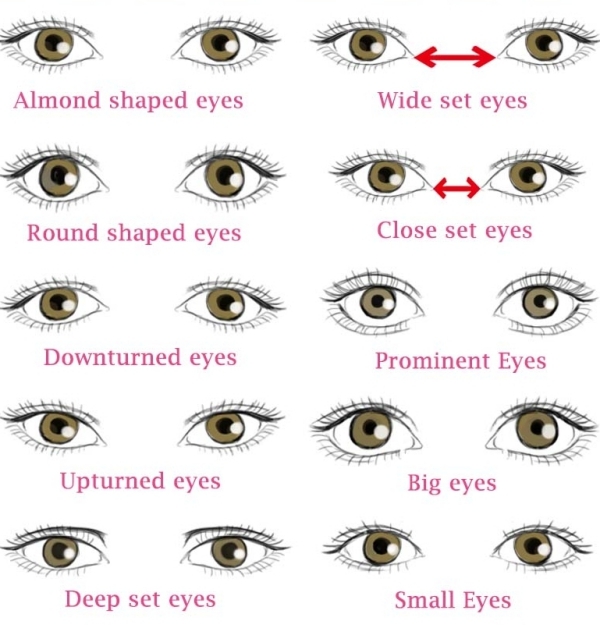 Different Types of Eye Shapes: Which One you have? The color theory of the eyes that matches your personality is totally dependent on what shape your eyes has. Makeup artist has to first know what different types of eye shapes their clients has before they start to do the eye makeup. Applying different types of eye shadows and eye liners will make you look stunning or even ugly totally depending on how well your eye shape is being understood. Understanding what eye shape you fall under is important to grab the perfect makeup trends for your eyes and make them look bewitching. And this is definitely contribute to the intelligent makeup hacks that truly saves life. Determining the Shape of Eyes! Notice if your eyes has crease! Close the eyes and note if there is any upper crease. Monolid eye don’t have any crease. But if you do have a crease then you need to cover it up first before determining the true shape. Position of your eyes will be the matter of concern to decide the true shape of the eyes in case you don’t have Monolid eyes. Then comes determining the position of outer corners! This is easier to observe when you would imagine a straight horizontal line passing through the center of the eyes. Simply noticing if the outer corner is above the line or below the line would easily do forthcoming step! If you have the corners lying above the line; then “upturn eyes” is what you have. Otherwise, your eyes are “Downturn”. The important stuffs in your handbags including the eye shadows and mascaras always works! Close look of the Crease is required! If the crease is hidden behind the eyelid then you have “Hooded” eye shape. Checking the inner corners of the eyes is also important! If the distance between the inner corners if less then the length of the eyes then you have “Close Set Eyes”. For those with the distance greater than the length of eyes, you have “Wide Set Eyes”. Finally Considering the Depth! If it is deep into the skull and the socket of the eyes then you have “Deep Set Eyes”. Deep-set eyes have shorter eyelid. While the ones with bulging outward from the socket and the lashes appearing heavier and larger are the protruding eye shape. As explained above, Monolid eyes are those that have no crease. The definition of the brow bone is not intricate and the crease is almost not visible. No crease ultimately creates a trickery of flat plain eyes. Definition, though, is ultimate brought in light using the game of makeup playing with eye shadows radiantly going darker to light. Darkest be closer to the lash line going lighter as the shadow reaches the brow bone. Extra layer of skin on the eyelid making it appear smaller is how you will identify the hooded eyes. Diffusing the darker eye shadow will draw eyeballs staring at you upwards and lower the focus on the crease spoiling the look. Thickening the eyelash with the bold eyeliner will also apparently divert the focus from the crease becoming the center of attraction and you eyes looking wide and beautiful. The natural lift at the outer corner of the eyes apparently lying above the horizontal level from the center of the eyes is defined to be called upturn eyes. Balancing out the upturn eyes is easily done by simple applying the eye shadow at the lower side of the lifted corner of the eye as to balance out and cover the lifted effect. This shape of eye features the shape guidelines opposite of the upturned ones. The outer corners are pushed below the horizontal line when imagined to have drawn from the center of the eyes. This shape of eye could be balanced out into a smashing perfect eye makeup by flaunting the cat eyes! 45 degree it is that you have to line out while drawing the eyeliner and balancing the eyes glamorously. The eyes that seem to be more into the socket pretending the lid to look smaller are the deep ones. More conspicuous brow bone, though, is a plus point. And the way to get this shape of eyes look bold and bigger is by brightening the natural complexion by shadowing the similar shade of your tone say beige or peach or brown. Going for metallic would also be great along with the smart highlighting part of eye makeup done below the arches. 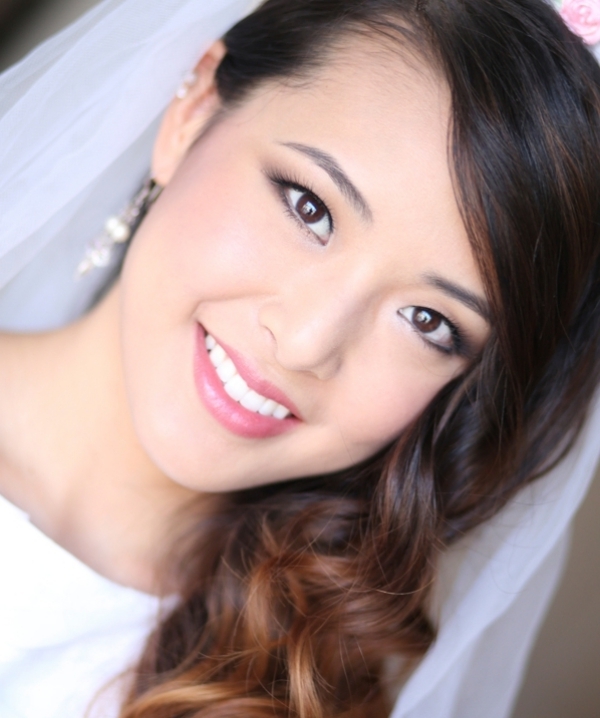 You will have a bit bigger canvas on the eyelid to make sensual eye makeup work glamorously. But anything in excess will always spoil the story behind style. So, please don’t let this bulging outward skin overpower the look and grab the darker shades of the eye shadows to overrule the overpowering issue. Smokey eyes are perfect for you and so the thin eyeliner since your eyes are god giftedly bold! Those whose eyes are greater-than-the-length-of-eye width apart fall under wide set eye group. Mascara must be applied turning the eye lashes favorably towards the nose to, otherwise, make the eyes look more wide apart. The distance between the eyes lesser than the length of one eye would be called close-set eyes. Lighter eye shadows that you are afraid to use will play smart here! Inner corner of the eye splattered with the lighter eye shadow in frosty whites and glittering nudes lighter than your skin tones will apparently create a stylish illusion of balanced distance between eyes. Now that you are aware of all the makeup must-knows for eyes for different eye shapes you must go and know the color psychology behind choosing perfect outfits for different moods and places.